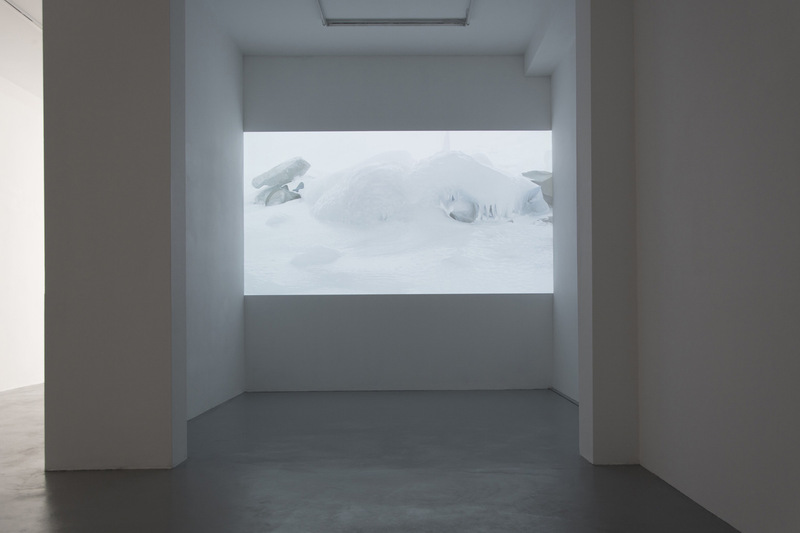 A durational video projection of a mound of fresh ice is projected at large scale, highlighting an otherwise overlooked happening outside the Global Seed Vault on Svalbard. The ice is formed when water from the cooling system exits near the entrance to the vault. Upon exposure to the elements it freezes immediately, creating abstracted ice forms.